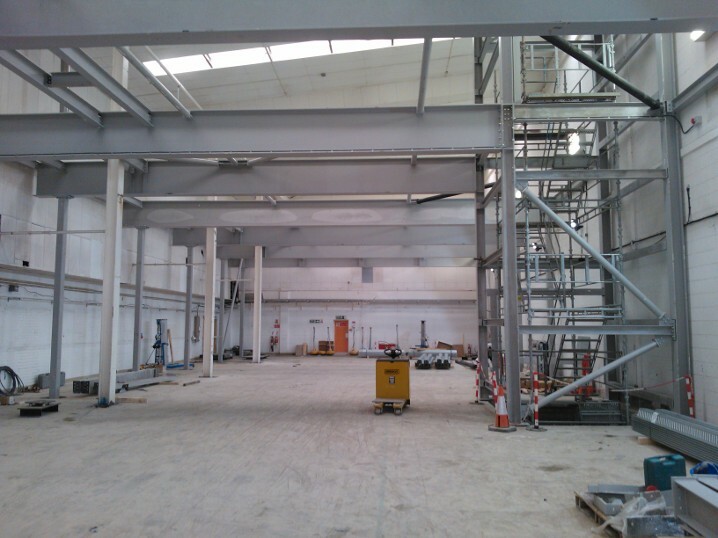 Construction of a new mezzanine floor for a new production facility. Our brief included arranging a laser survey of the existing structure, as well as a design appraisal of the existing structure, ground floor slab and foundations. We carried out a loading assessment for Piling contractor, and the design of support steelwork incorporating Multideck concrete floor, a goods lift and access stairs. This project was further complicated by the need to remove the lower sections of certain existing columns in order to accommodate new plant and equipment at the ground floor level. A full design solution to this problem was developed, and the columns in question were suitably supported at mezzanine floor level and removed below.